I have not had much time to work on my top one hundred films for the last couple of weeks. As well as having a stupid mini-OFSTED faculty review thing at work, I am also writing a novella this month (Oh, hark at her!). The creative task certainly wasn’t my idea (come to thing of it, neither was the OFSTED thing), I hate writing, but my friend Stumo talked me in to it and, I have to say, I am enjoying it. I will post progress on the deadline (7th December) and let you know how I got on. Anyway, I have still been reading film related books and magazines. 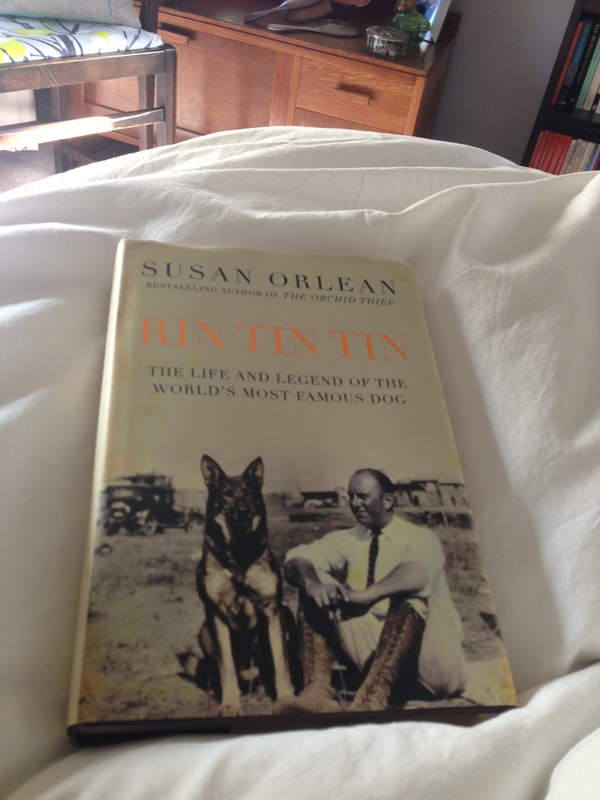 This morning I finished ‘Rin Tin Tin’ by Susan Orlean. My dad bought me this book about two years ago and I finally got round to reading it. He kept mentioning it and I started to feel very guilty that it was still sat untouched on my shelf. My dad is great at giving books as presents. He doesn’t do it very often, but when he does it means that he has researched it and he knows that you will really like it. He has given me lovely hardback books on Gabriel Garcia Marquez, rude Shakespeare and the history of underwear. All have been corkers and I should have remembered that and started on this one earlier. Although I have to say that I wasn’t hugely excited by the topic, although I knew that Orlean was reputed to be a good writer. Dad had given me another book about Cheetah, the monkey from the Tarzan films and it was funny, but I didn’t think I needed to read another book about film animals for a little while. How wrong I was. This book is fantastic. It manages to cover one hundred years of American history in a light and touching way. The entire entertainment industry is laid bare as we track this dog’s (and its heirs’) journey from battlefield puppy to film icon. But it does something even more interesting; it talks about the process of celebrity, our quest for permanence and our desire to love and collect. Very serious topics for a book about a dog! Anyway, sorry Dad – I have now read it and loved it. I’ll bring it back with me so you can read it too. PS – the second reason is that he is actually making me a steadicam, which will be better than all the other steadicams put together because he is aces.